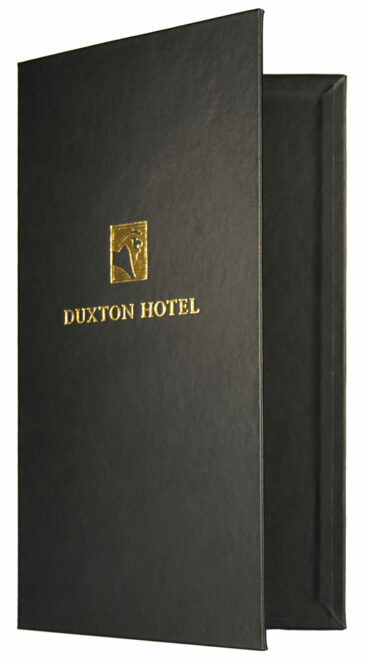 Our custom compendiums are a great way to keep your guest information tidy with our custom Hotel compendiums. We make our custom compendiums room guest information folders to fit any number of pages or pockets. We create the binding mechanism by installing one of our durable ring mechanisms (three holes as a standard) – If you would like two or four hole please specify at the bottom of your order. Our compendiums can be made from any of our durable materials premium they are all ideal for hotels, motels of all sizes to hold guest information, dining information and local information. Our durable custom compendiums are proven to last and are well worth the investment, we add a pocket onto the inside front cover to hold addition information or leaflets. SKU: HCA4PBsample. Category: Samples. Tag: productSample.